The number of students choosing to study an international degree has dramatically increased. Industry experts expect this trend to continue. Academic heads at some of the world’s leading universities see a growing demand for internationally accredited degrees. Due to ongoing financial hardship in many countries and the greater need for global communication skills, they expect more students to be looking abroad for their education. A dual degree is a qualification offered by two or more universities, commonly at a masters or postgraduate level. The student receives a certificate from each of the institutions involved. 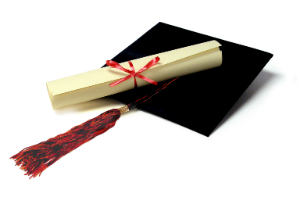 A joint degree means the student receives only one certificate from all the partner universities. International degrees are becoming more and more popular. A report from the Institute of International Education, developed among 245 higher education institutions in 28 countries, supports this idea. In 2011, double degree programs appeared to be more common than joint programs. 84% of responding institutions offer double degree programs, while only 33% offer joint degree programs. According to the report, 95% of institutions report that double and/or joint programs are an essential part of their internationalization strategy for the future. In terms of types of courses, an overwhelming number of institutions said they are planning to offer more business and management courses (45%). This was even more true in Australia, where 73% said business and management courses were part of their future strategy. In the UK, more institutions were planning social sciences courses, with 55% claiming that was what demand called for. Universities with international programs proclaim a range of advantages for their students. “Studying an international degree allows you to become a global citizen”, says Dr Kaat. “And if you’re a global citizen, the world is your oyster.